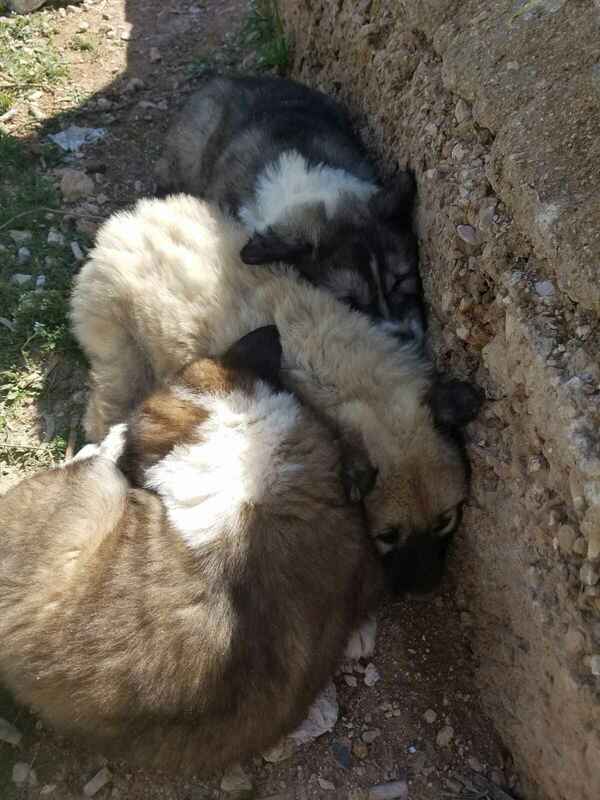 While out on patrol, US Troops in the Middle East came upon a horrific site - three young puppies orphaned after their mother was killed. This sun-baked desert region, where daytime temperatures often exceed 125 degrees, is a harsh, unforgiving place, but for these 3 pups, without the protection of Momma, it is a certain death sentence. For the soldiers, there was no question. They could not leave the innocent puppies to suffer from starvation, dehydration, other animals or even potentially fall victim to the same sad fate as their mother. They loaded the puppies into pockets and packs, and took them to their base to keep them safe until they could figure out what to do next. Guardians of Rescue was contacted to help get the three puppies, Jordie, Bandit and Crackers, safely out of the Middle East and to America and to the homes of families and friends of the heroes who saved these puppies. Missions to rescue animals from a war zone in the Middle East are expense and there is the potential for danger to our member and the animals we are getting out, but they are critical as they save innocent lives that would otherwise have little chance of survival. Your tax-deductible support is vital in helping us to get Jordie, Bandit and Crackers to the US, and freedom. Together We Save Them, locally and globally.